When you think about it, your bathroom is the real sanctuary of your home. It’s where you go to refresh yourself and get ready for the morning. A long, hot shower at the end of the day is a relaxing experience like no other. As one of Marion County’s most sought-after general building contractors, we’re experts in turning the plain into the extraordinary. While it might seem daunting, getting a new bathroom is far simpler than you might think. We’re an award-winning contractor with the skill and dedication to give you what you want without the hassle. From beginning to end, we keep you in the loop so you can hire us with peace of mind. I don’t know exactly what I want. Can you guide me through the design and implementation process? 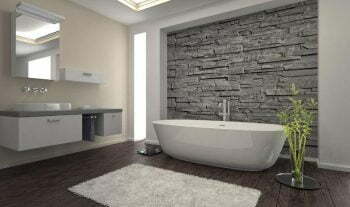 At an initial sit-down consultation, we work together to determine what you want to see in your new bathroom. Once we have an agreement in place, our team gets to work on preliminary drawings of a general look. After that’s complete we progress into a development stage to clarify the overall vision and prep the project for rebuilding. We draft the final, highly detailed drawings for production and can move on t the last stages. Every project is unique; we tailor our process to suit your needs so that the project manager can give you a realistic cost estimate. Disability and aging – Is your current setup designed to age with you? Will it remain safe for you to use? Pipes – Does any of your plumbing need replacement? Are you familiar with the styles of bathroom appliances that you might want? Illumination – Is your existing setup ideal for you? Are there any other places in which you’d like to install various lighting features? Storage space – Are there any spots that you can use to increase your space efficiency? Why not install a recessed medicine cabinet if you don’t have one? Airflow and windows – Your current bathroom might not be properly ventilated, which is essential for preventing mold growth. Does the ventiliation system circulate air properly and remove moisture from the room? Could you improve on this by means of an additional window? Makeup of the bathing area – Do you want a modern fiberglass tub or a classic cast iron claw foot? What about an area for a stand-up shower? Would you like to use porcelain or an acrylic plastic as the base? Have you picked out a palette of complementary colors? 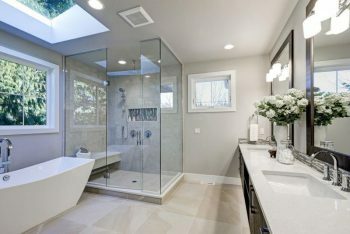 Turn to Star Builders to make your next bathroom remodeling project in Keizer a success!